Ever since the ending of the Hex Hall series, I have been dying for something else by Rachel Hawkins. 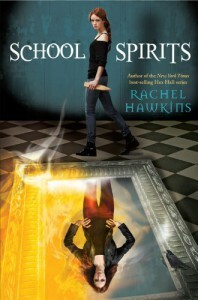 Seriously, I am not sure Rachel Hawkins can do any wrong in my eyes.School Spirits opens around the time of the ending of Spell Bound. Although it really isn't spelled out that there is a connection between the two series, there are little breadcrumbs that link Sophie and Izzy together. Well, besides the fact that they are cousins.Truth be told, if you are looking for basically a redo of the Hex Hall series, you will not find it here. School Spirits, while having some writing similarities, is completely different in a number of ways from the Hex Hell series. As I started School Spirits, I found myself letting out a breath that I didn't realize I had been holding. I love the Hex Hall series to pieces, but I wanted something new and different. With School Spirits, I got that and more.As a Brannick, Izzy knows all about the Prodigium. The good, the bad, and the ugly. And she knows how to fight them, too. Throughout School Spirits, I constantly found myself liking Izzy more than I thought I would. The same goes with her new friends. 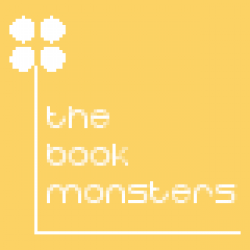 Unlike the Hex Hall series, the friends are human, or at least, much more human than in the Hex Hall series. To avoid spoilers, that is all that I am saying about that.As for the romance, Dex is not Archer. Although, I didn't want School Spirits be Hex Hall, part two, I honestly wouldn't have minded finding Archer, part two. I do love me some Archer. Moving on. While different, I must admit there is a part of me that found myself drawn to Dex. His humor. Loyalty. I loved it all. And unlike Archer, Dex came across as almost silly at times. Which was a nice counter balance to Izzy's sometimes serious personality.Final Verdict:I loved School Spirits to pieces. The atmosphere that I loved from the Hex Hall series is in full effect, but it felt different enough to make me feel like I wasn't just reading a rehashing. School Spirits is the promising start to a new series.Will I read the next installment?Of course! Do you really have to ask?